There are two national elections going on right now in the United States. One is the presidential election and the other is equally important to the future of our society. That election will decide whether or not we continue to allow the Main Stream Media to influence American minds. This 2016 campaign will demonstrate whether or not we make the Media irrelevant over the next four years and beyond. The people of America are also deciding a new medium from which to get their news, through the internet and with You Tube; a new form of real and honest journalism. An overthrow of the Main Stream Media is in the making; the Media Elites know it and they are panicking. The Media is trying with all their power to direct the outcome of this crucial election in favor one candidate, their candidate. But the polling data suggests people are rejecting the Media’s obvious favoritism for their chosen candidate. This is an antiestablishment election. Americans demonstrated this with their support of two presidential primary candidates: Bernie Sanders and Donald Trump; and the Media loved it! But now they are a victim of the anti-establishment revolution that they loved so much. Americans see through them clearly now. They are Elitists of the highest order because they have the First Amendment’s Freedom of the Press, behind them; and they’ve thrown it away. There’s always been bias in the Media and we knew it. But now its not bias, they fully advocate for politicians and policies that suit them. They perpetuate the division in this country, not mend it. The middle and underclass of this nation will decide who the next president will be, not the Main Stream Media. The Main Stream Media are despicable, deplorable people who live in some insulated, imaginary utopian world where there are no consequences to their agenda, lies and omissions of facts. They cover up corruption when it doesn’t suit them, and initiate false investigations when it does. 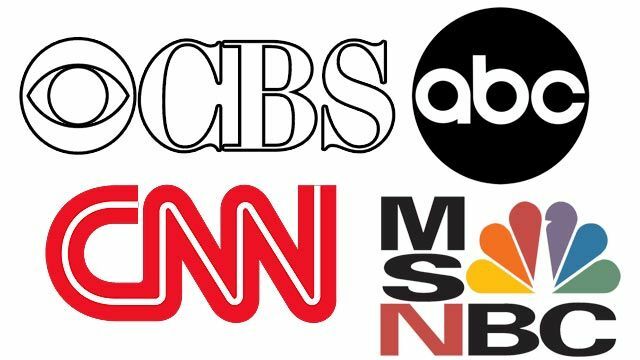 Unfortunately there are no legal penalties for the Media’s lying, spinning truths, omitting facts and sensationalizing misery, and they are paid millions of dollars to spew their putrid political propaganda upon us. But we do have recourse and it’s impactful. From now until election day we can completely ignore the Main Stream Media and get our news on the internet and from You Tube: honest journalism written by real people. The Main Stream Media is all about their ratings which drive sponsors: it’s how they get paid and how their egos are inflated. We can put an end to all of it. It's time to be heard ! The media "Elites" have controlled what we see, hear and read for too long.